Nurse Kate works at both the High Street and Cobo Surgery. She has a background in midwifery and health visiting. She moved into practice nursing to develop her interest in health promotion and primary prevention. Since becoming a practice nurse she has completed diploma level certificates in diabetes and cardiovascular disease. 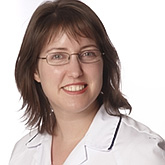 As well as providing diabetes clinic nursing care, her skills include childhood vaccination, travel health and vaccination, cervical screening (smear tests) and health promotion.